Hey, You Lookin’ at Me? I hail from New York and “Hey, You Lookin’ at Me?” is one of those phrases that I associate with NY-talk. It’s also the first phrase that came to mind when I was checking out LinkedIn’s enhanced Who’s Viewed Your Profile area. In this context, getting people to look at you is exactly what you want. If you haven’t done so recently, it’s time you checked it out. Who’s Viewed Your Profile is now an option under the Profile navigation for all LinkedIn users. Select it, and you are presented with a dashboard of helpful information and suggestions aimed at maximizing your reach and visibility on LinkedIn. Charts of profile views and profile rank. Specific suggestions for people to connect to, groups to join, and elements of your profile to complete or expand. Photos and profile links for people who have viewed your profile recently. Since LinkedIn is changing its services and new people and groups join all the time, this dashboard is a really handy way to quickly access the updates that matter most to you. I was able to join a new group and update my volunteer service and my current interests with just a click. Check it out. 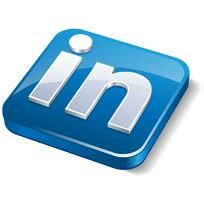 And if you have any tips for getting the most out of LinkedIn, please share them here.